Sounders FC hosts the Houston Dynamo in regular-season action. 46’ - WE ARE BACK! @clint_dempsey and @Obafemimartins with the tap to start the second half. Seattle up 1-0. 47’ - Another choppy start here. Back and forth. Not much going on at the minute. 49’ - Oba dropping really deep to collect the ball here. I think he’s hungry for another goal. 51’ - @WeAreECS looking just fantastic right now. This left and right thing going on. Just superb, friends. 51’ - And on the near side, Oba gets taken down hard right in front of the benches. Yellow cards shown to Taylor for the infraction. 54’ - Davis goes low…right into the wall. Second shot, into the wall…and out for a corner. 55’ - Which is eventually cleared. Some very nice defending by Seattle so far in this one. 56’ - Houston really turning the screws here. Ball slid in by Garcia that Evans slides and pokes away. 56’ - Well alright. Red card for Gonzo. A turning kick there that caught Clark in the chest. A bit like last week’s on Acosta. 57’ - Can’t really argue that one, I suppose. No intent there whatsoever. 58’ - Lots of #soccer left to be play. Houston will be sending the house. Only scored two goals this year though. 59’ - Corner won there as Dempsey defends deep and Marshall puts it out. Then Deuce defends the corner. Love it. 60’ - Big chance for Houston as the ball bounces around the top of the box and Sturgis sends in the shot that is wide of Frei’s goal. 60’ - Change for Seattle as Lamar checks out for Mike Azira. Gotta sure up that midfield, ya heard? 62’ - Ok, ok…interesting no-call on Taylor as Rose spins and appears to be clipped inside the area but nothing. Play on. 63’ - Will Bruin set to check in for the Dynamites. 64’ - Here comes the change for Houston as Garrido comes off for Bruin, who is a forward. Forwards are paid to score goals. 65’ - Corner taken by Mears and it’s a bit too high and eventually cleared out for a GK. 67’ - Houston throwing everything forward now as DMB going back to his midfield days with the run up the wing and in. Shoot = saved. 68’ - Clint and Oba just went to take on six Dynamos. That would have been something. 69’ - Big foul on Barnes after he chops down Marshall. No card. 70’ - TWO BALLS ON THE PITCH! I REPEAT TWO BALLS ON THE PITCH! 72’ - Lots of pressure from Houston here who keep playing crosses into the box. Sounders defended admirably…waiting for that counter. 73’ - OZZIE Alonso now coming off and he’ll be replaced by Zach Scott. Just so much loveeeeeee. 73’ - Houston also make a switch as Miranda comes in for Garcia. 74’ - Huge applause for OZZIE as well because he’s amazing at everything he does. 75’ - HOLY MOLY! OBA! Wow. Sounders hit on the break with Clint pushing wide to Obes who cuts inside and fakes, fakes, steps, shoots, over. 76’ - That would have been so nice. LIKE SO NICE DUDE! 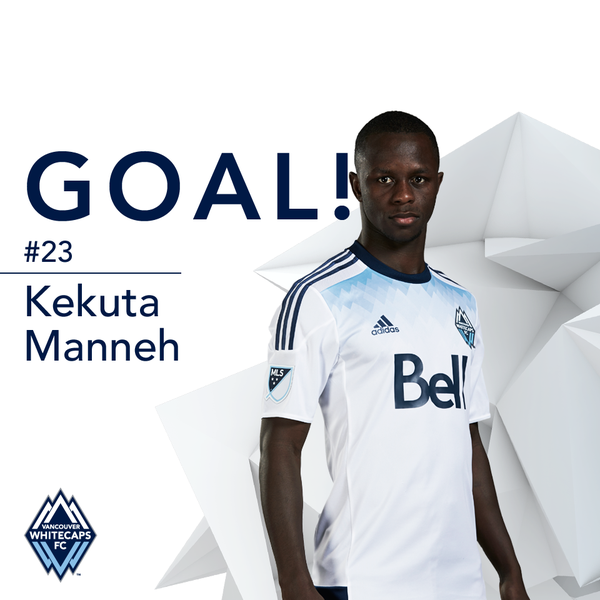 76’ - Oba chasing down every little thing that drops in the Houston end…and he’s causing its D fits. 78’ - Davis gets into a wide position and puts the cross in off of Rose but out for a corner. He’ll take, because duh. 78’ - Played short and then the cross comes off Mears and out for a throw. Take that all day. 79’ - And another FK call as Miranda is taken down by Zach Scott in the first official #ZachScottd moment of the match.